Margaret S. "Peggy" Abrams is a partner in Abrams & Abrams P.A. Peggy represents people who have been injured through the negligence of others, known in the legal arena as "personal injury plaintiffs." She concentrates her work in the areas of tractor trailer wrecks, products liability and defective product cases, industrial injuries, plant explosions and fires, and other tort cases. In 2002 Peggy obtained her certification as a Superior Court Mediator for North Carolina. She currently handles mediations in the triangle area. She also assists in the training of new mediators with the faculty of Beason Ellis Conflict Resolution. 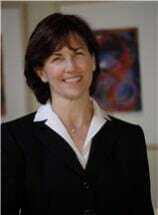 Peggy attended Wake Forest University both as an undergraduate and for law school. Following law school, Peggy clerked for the honorable Willis P. Whichard, Associate Judge, North Carolina Court of Appeals. She then entered private practice in Raleigh, North Carolina. Peggy is active in both professional and community organizations. She served as President of the North Carolina Advocates for Justice for 2008-2009, and prior to that served on the Executive Committee of NCAJ as President-Elect and Vice President for Education. Peggy has also been active in the American Association for Justice (formerly Association of Trial Lawyers of America) as well as North Carolina Bar Association where she currently serves on the Judicial Independence Committee. Peggy has been selected for inclusion in the publication Super Lawyers. Peggy and her husband and law partner have four sons and Peggy has been active with in their school and extracurricular organizations. Peggy was President of the Washington Elementary PTA for 1992-1993 and of the William G. Enloe High School Parent Teacher Student Association for 2007-2008. She has served on Board of the Infant Toddler Center, and the Temple Beth Or Preschool. She has served as team manager for her sons' Capital Area Soccer League Challenge Division teams. Peggy grew up in Monmouth County, New Jersey in a family of lawyers. Both of her grandfathers were attorneys; her father was an attorney; her brother is an attorney in New Jersey; and she has an uncle and several cousins who are attorneys. Peggy and her husband and partner, Doug Abrams, founded Abrams & Abrams, PA in 2001 after 20 years of practicing with another Raleigh personal injury firm. Recently, Peggy and Doug were joined in their firm by their eldest son, Noah Abrams.